Is Barnes and Noble Going the Way of Borders? In the last 24 hours or so, several of my writer friends have shared an article via Facebook regarding the slow death of Barnes and Noble. The article was penned by Dennis Johnson, founder of MobyLives and co-founder and co-publisher of Melville House. To put it simply, Johnson predicts that the chain bookstore is not long for this world and could be out of business within the next 2-3 years. When I first saw the link to the article and read the first paragraph, I thought it was an alarmist piece of journalism, but by the end of the article, it’s clear that Johnson has sound reason and evidence to believe that the demise of Barnes and Noble is likely, and that would have an astounding impact on the literary landscape and readership. Johnson opens the article by mentioning the wave of Barnes and Noble stores that have closed since the holiday season, and they’re not only in small communities, but in Philadelphia, Los Angeles, Washington, D.C., Chicago, Seattle, San Francicso, and other metropolitan eras. Publishers Weekly is cited to highlight that the bookstore had lackluster holiday sales; store sales declined nearly 11 percent, while NOOK sales tumbled 12.6 percent. A blurb from the Wall Street Journal is cited to illustrate that Barnes and Noble has failed at marketing, especially in regards to its e-reader, the NOOK. 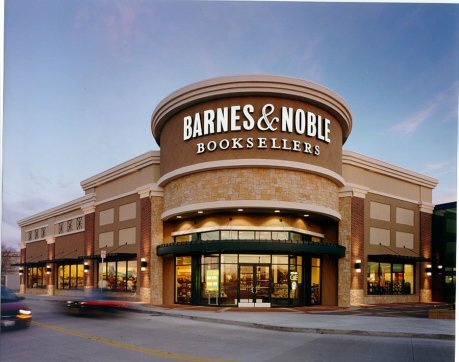 What’s shocking about Johnson’s article is the point raised that if the 2,000 plus Barnes and Nobles stores close in a few years, that would lead to the demise of roughly half the nation’s bookstores. In blunt words, the writer predicts that will leave the literary landscape and publishing industry totally screwed, and it can even harm small indie bookstores and the sale of e-books because it will make books overall less visible, thus making consumers care about them even less. Like Johnson stated, the publishing industry better adapt to this quickly, or books as we know them will be all but extinct. Barnes and Noble should take a cue from indie bookstores and try to engage customers by hosting more readings, book signings, and other events, whatever it takes to get customers into the store. Just imagine a country losing nearly half its bookstores. Talk about killing the publishing industry and decreasing even more this country’s intelligence level, education, and curiosity.